WIFI 4G Version. Select from fun effects like animated GIFs and panoramas, bringing your photography alive. Keep going for longer with an impressive 11 hours battery life. Plus with the ability to up your storage to a massive 200GB micro SD card, you can keep all the content you could ever wish for. Dual SIM card. 32GB Storage - Expandable by Micro SD Card. Currently running on Lineage OS 14 (Android 7.1.2) but I can downgrade to the factory Android 4.4 if required. DISPLAY: 12.2 in, 2560x1600 corning gorilla glass 3. NETWORK: WiFi a/b/g/n/ac, GSM/3G (yes, you can also make phone calls with it). Wifi Connection Or 3G Dongle Connection. With a mini size of 182mm 121mm 10mm(no tablet case) and light weight of 285g, Q88 let the kids fondle admiringl, and can not help bringing it to anywhere. Built-in WiFi. The ARCHOS 79 Xenon runs pure Android 4.2 'Jelly Bean' without any skins or overlays. With its sleek aluminium casing, ARCHOS 79 Xenon is stylish, thin and light. The ARCHOS 79 Xenon includes an integrated 3G HSPA modem. The Black Apple iPad 3rd Generation with Wi-Fi and Cellular connectivity is a useful for surfing the internet on the go. About this iPad. Model : XGODY T903(A181)-2 32GB (100% NEW). Bluetooth : Bluetooth 4.0. Tablet Weight : 514g. Audio Format: mp3,aac,amr,mka,mp2,ogg,wav. 1 Audio Output 3.5mm. 2 Standard Sim Card Slot / 1 TF Card Slot 1 Standard Sim Card Slot. 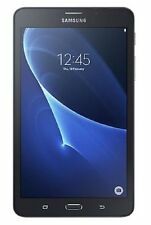 Samsung Galaxy Tab A - 16GB - 9.7in - Wi-Fi 3G (Unlocked) - White Tablet. This tablet doesn't include its original box. Refurbished Tablet in Very Good condition. Perfect visual and perfect technical condition. In its original box. USB HOST 2.0 high speed interface (Micro),Support Extra Hard Disk, Ethernet, 3G Dongle and other peripherals. 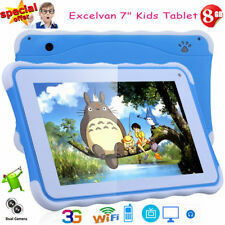 1 x Tablet PC. 1 x User Manual1 x Keyboard Case. 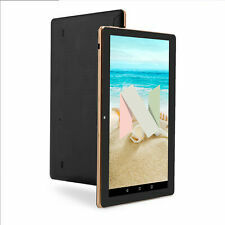 Tablet Weight TB01(100% NEW). 1 x USB Cable. 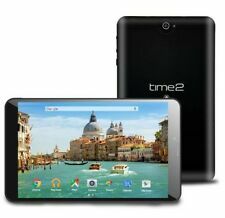 NEW: 10.1" Android Tablet with 64Gb storage running Marshmallow 6.0 and with 2 x Sim full size card slots! So you can use wifi or a sim card to get online. Android Marshmallow installed with all its great features. 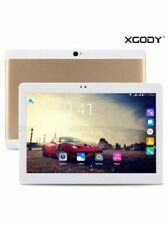 Model : XGODY T903(A181)-2 32GB (100% NEW). WiFi : IEEE 802.11 a/b/g/n. Data Interface : USB HOST 2.0 high speed interface (Micro),Support Extra Hard Disk. Tablet Weight : 514g. Audio Format: mp3,aac,amr,mka,mp2,ogg,wav. 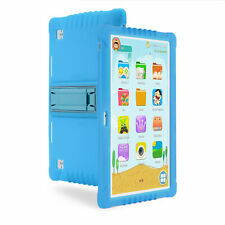 Tablet Cases. 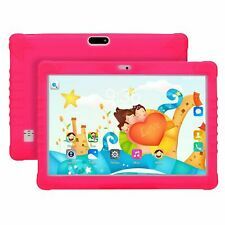 Galaxy Tab A SM-T285N 7" 1.5GB 1.3GHz Quad Core 8GB Wi-Fi & 3G/4G Android Tablet. Platform Android. 3G standards UMTS. 3G bands supported 850,900,1900,2100 MHz. 4G standards LTE. 4G bands supported 800,850,900,1800,2100,2600 MHz.